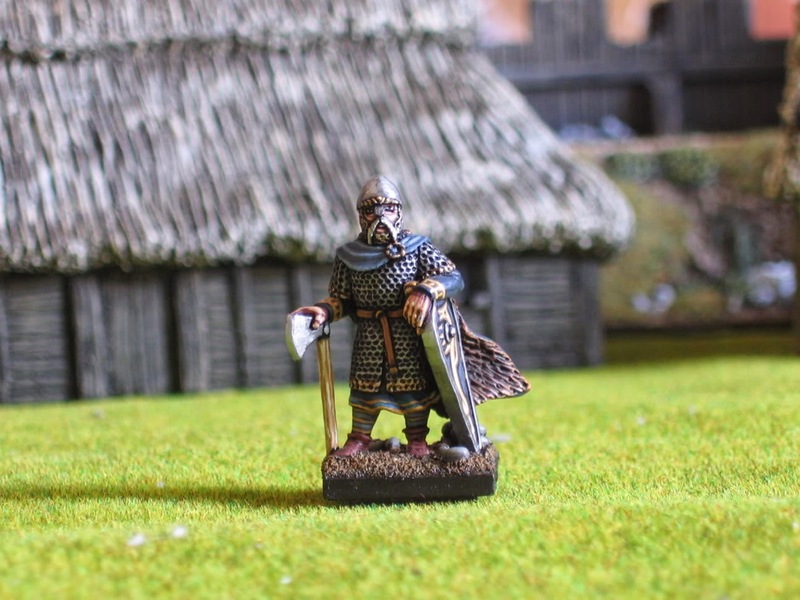 A couple more pics, this time Harold Godwinson feeling blue- the mini was a free giveaway on the 1066 and All That WAB Campaign back in the glory days of the WAB Campaigns held at GWHQ in Notts. mini was sculpted by Soapy and produced by Gripping Beast. Looking good Darrell, hope to see your display next year at some point. I hope so too. at Salute or Partizan next year. I'm going to do a unit (or something like it) in between my own stuff so that there's some real impetus put into the project. Lovely mini and great paint job! 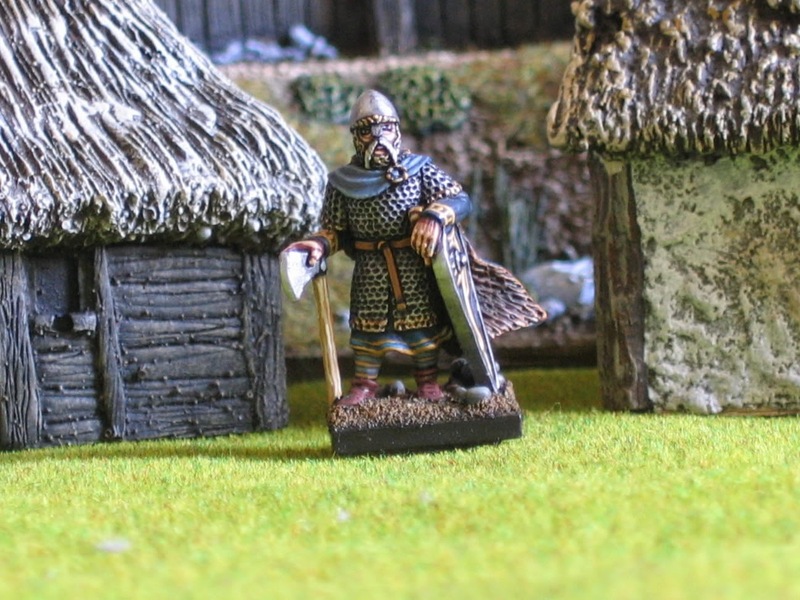 He looks great he's just tired from fighting off vikings. Thanks guys, he's going to end up on a command vignette with the sculpts Bill did for Saga representing Harold on a combat base.